In recent months, Gov. 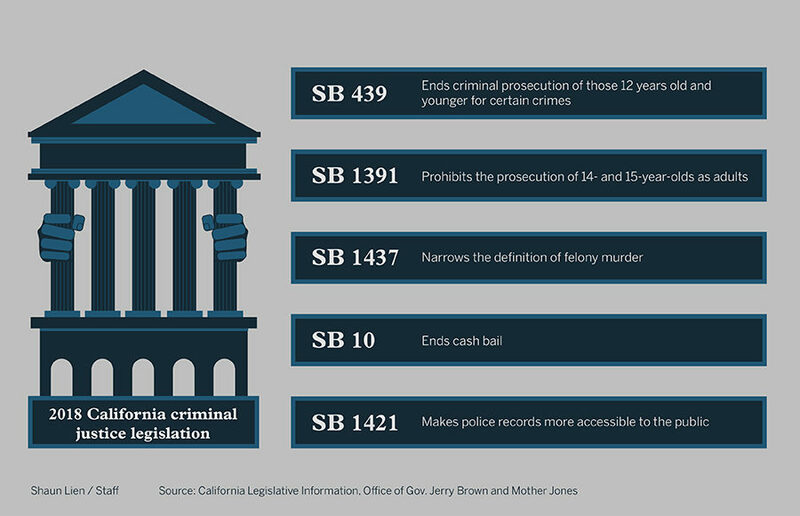 Jerry Brown has signed numerous criminal justice reform bills on topics ranging from bail reform and an overhaul of rules regarding felony murder charges to revisions of juvenile detention law. Particular focus has been given to reducing inequality in sentencing and the number of people in California’s prison system. Representatives from both major parties have been working together in Sacramento to draft these reforms. In 2017, state Sens. Holly Mitchell, D-Los Angeles and Ricardo Lara, D-Bell Gardens, who is the California insurance commissioner-elect, introduced a number of bills, referred to as the Equity and Justice package, to tackle inequality in the juvenile justice system. According to Michael Soller, spokesperson for Lara and a former Daily Californian arts editor, Brown has signed 10 of these bills into law. Among these are SB 439 and SB 1391, which exclude children under the age of 12 from criminal prosecution and prohibit 14- and 15-year-olds from being tried as adults in criminal courts. A report released by Human Rights Watch found that 14- and 15-year-olds faced greater odds of being prosecuted as adults in certain counties. 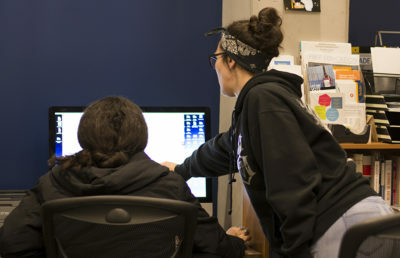 Additionally, according to the research, Black youths are 11 times as likely and Latinx youths are nearly five times as likely to be prosecuted as adults as their white peers. According to Soller, the states senators are focusing on policies to help rehabilitate and reintegrate formerly incarcerated people into society. Soller also referenced SB 393, another bill in the package, as contributing to this effort by removing certain employment barriers for people arrested but never convicted of a crime. Signed in September, SB 1437 also intends to address mass incarceration and injustice by modifying a previous law on felony murder — a rule that made it possible for an individual without a direct role in a homicide to be held responsible for the death and to be charged and convicted of first-degree murder. SB 1437 removed that provision. “If you and I agree to do a robbery, and you bring a gun and you shoot somebody, and I didn’t know about that and I didn’t approve — too bad, I’m also a murderer under the federal murder rule,” said campus professor Franklin Zimring, faculty director of the criminal justice studies program at the UC Berkeley School of Law, in explanation of the overturned felony murder law. Skinner, who co-authored the bill, said she believed the previous murder statute needed to be reformed so that the punishment could line up with the individual’s direct role in the crime. In August, Brown signed SB 10, which ended the use of cash bail in California and instead evaluates arrested individuals with a “risk assessment tool” based on their threat to public safety or risk of failure to appear in court. According to Alex Barnett, a policy consultant for state Sen. Bob Hertzberg, D-Van Nuys, one of the lead authors of the bill, the law provides a framework for counties to develop new pretrial procedures. There is some concern, however, about whether or not the bill leaves too much discretion to judges and prosecutors, who might be subject to bias. Barnett said there is a provision in the bill that requires the collection of data to see if the system is being fair, so lawmakers can determine if ending cash bail has been a success or failure. Barnett added that his office is currently working on a separate bill to enhance the data-collecting procedures. 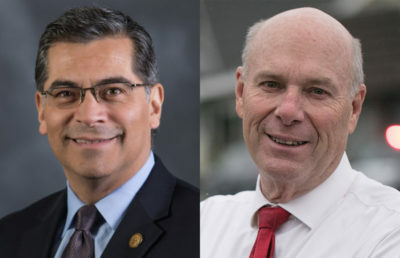 While the bill was originally supposed to be implemented in October 2019, the bail-bonds industry recently submitted a petition to the California attorney general to put a ballot initiative to repeal the bill on the November 2020 ballot, putting implementation on hold. 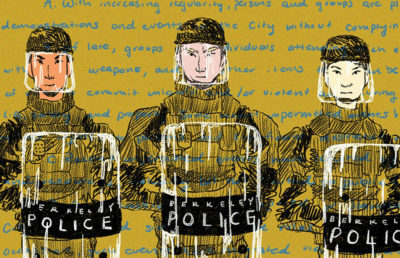 Berkeley City Councilmember Kriss Worthington said most of the new reforms affect Berkeley “indirectly.” He added, however, that certain policies, such as SB 1421, which introduced police transparency reforms, will have immediate impacts on the city. Previously, the law kept any state or local records that related to complaints against police officers confidential. SB 1421 now requires certain complaints or investigations involving police to be open to the public. A previous version of this article incorrectly stated that SB 1421 makes all records of complaints and investigations regarding the police available to the public. In fact, the bill only makes certain records public.